75' Aerialscope Tower Ladder with 1,000 GPM Waterflow Capacity when supplied by a 4" Supply line on the driver side or two 3" Supply lines on the passenger side intakes. 1,000lb capacity at any angle while flowing 1,000 GPM. 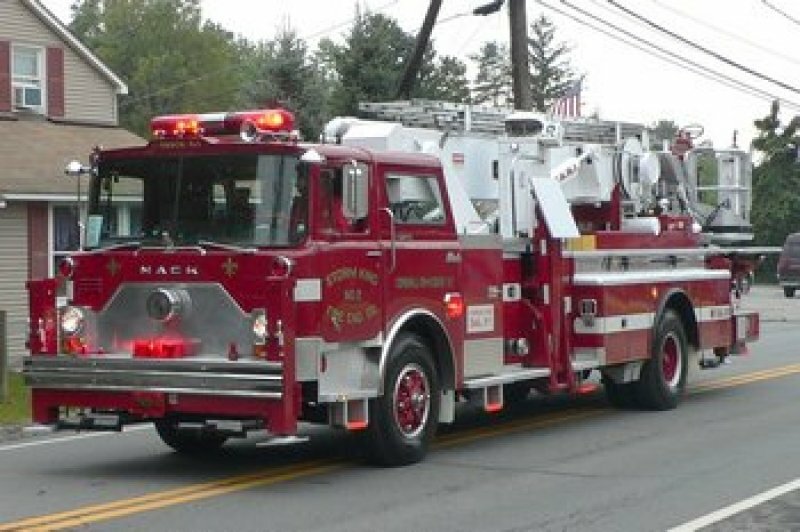 184ft of Ground Ladders Complement the Tower Ladder including (2) 35' 2-section, (2) 28', (1) 20' straight/roof, (1) 16' straight/roof, (1) 12' straight/roof, (1) 10' folding attic.